Mona Hussein is the creative force behind her design offices of Mona Hussein Design House (MHDH) & Mahally with Mona Hussein. She first launched a lighting showroom ‐Temple of Light‐ in 1992 in the World Trade Center of Cairo. 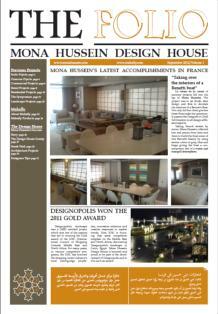 In 1993, Mona established MHDH Office, a 25 years old company by now. Honing her talent for design, she expanded her Interior Design House into Landscape, Architecture, Product Design and Branding. 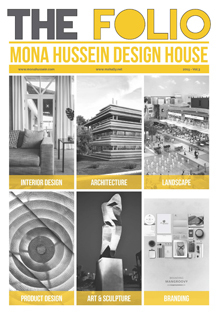 As a designer, Mona Hussein understands the importance of creating unique and inspiring spaces for her clients whether the project is Residential, Commercial, Hospitality, Architecture or Landscape. Being part of an award winning project "Designopolis", Mona Hussein has made her mark on many of Egypt's most elegant interiors and projects. In addition to leading a creative and ambitious team of designers and architects, Mona Hussein keeps the creative juices flowing by encouraging the team to seek inspiration from the smallest of details that surrounds them. 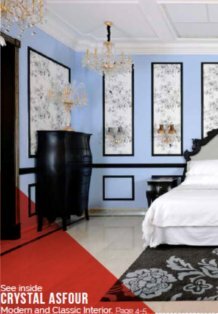 She also keeps sharing with them the most recent developments in the international design scene. To ensure the team remains stimulated and continuously evolving. "It is the understanding of the client's vision for their project and translating that into a creative yet functional design is what makes this job so gratifying." Mona Hussein.